Roll up, roll up for a circus of musical meaning...where strange musical machines and even a glittering musical toyshop become an existential journey into the beyond. Welcome to the world of Dmitri Shostakovich's 15th, and final, symphony. Why See Seattle Symphony - Shostakovich Symphony No. 15? 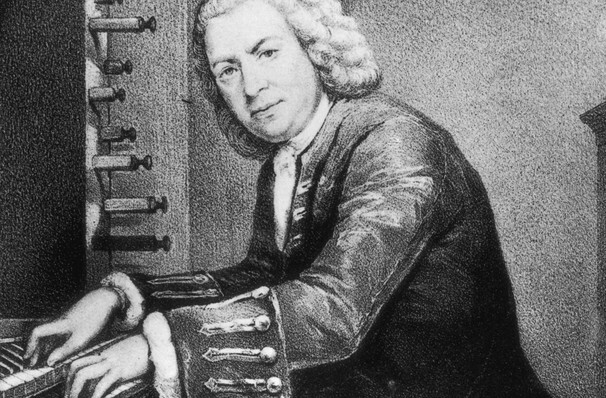 It's not uncommon for great composers to call on, emulate and venerate the music of those that came before them, especially when it comes to the work of German Baroque giant Johan Sebastian Bach. The Seattle Symphony and music director/conductor extraordinaire Ludvico Morlot present a program of works directly inspired by Bach, featuring renowned English organist Wayne Marshall, an instrumentalist of breathtaking virtuosity, boundless energy and enthusiasm. Marshall helps kick the program off on soloist duties during English conductor Leopold Stokowski's sweeping symphonic arrangement of Bach's 'Toccata' and 'Fugue in D Minor', one of 37 orchestrations and transcriptions Stokowski devised from Bach's music. This is followed by modern classical composer John Harbison's 'What Do We Make Of Bach? ', a stirring Bach-inspired symphony that aptly summarizes his lifelong appreciation of the primary influencer of his own works. The evening comes to a close with Shostakovich's last ever work 'Symphony No. 15', a dark, tumultuous and profound piece that reflects Bach's rhythmic structures and kaleidoscopic patterning. Sound good to you? Share this page on social media and let your friends know about Seattle Symphony - Shostakovich Symphony No. 15 at Benaroya Hall. Please note: The term Benaroya Hall and/or Seattle Symphony - Shostakovich Symphony No. 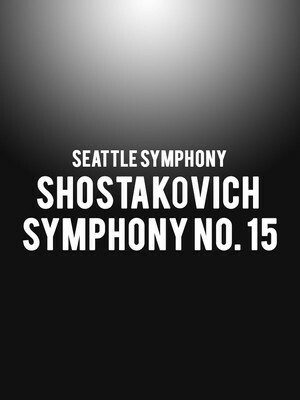 15 as well as all associated graphics, logos, and/or other trademarks, tradenames or copyrights are the property of the Benaroya Hall and/or Seattle Symphony - Shostakovich Symphony No. 15 and are used herein for factual descriptive purposes only. We are in no way associated with or authorized by the Benaroya Hall and/or Seattle Symphony - Shostakovich Symphony No. 15 and neither that entity nor any of its affiliates have licensed or endorsed us to sell tickets, goods and or services in conjunction with their events.